At Waltrip & Campbell, PC we are experienced child custody lawyers. We have tried hundred of child custody cases in the Juvenile & Domestic Relations District Courts, as well as the Circuit Courts throughout the Commonwealth of Virginia. We handle cases from the time parties separate, as well as many years later when a change in circumstance warrants an order being modified. 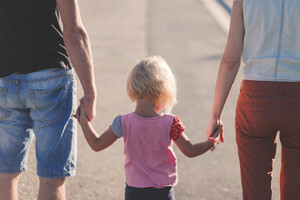 A child custody case can be stressful and confusing as so much of what is important in life is determined by the outcome. For each case, our lawyers meet with clients regularly to ensure we are working toward the clients goals, we assist each client in dealing with often difficult spouses, or opposing parties, and advise about difficult circumstances as they arise. We also meet with every client before trial to determine the trial strategy specific to their case, ensure the appropriate witnesses are subpoenaed, and prepare the clients testimony in court. We also work with professionals in other fields to improve the lives of the children and parents involved; this includes: therapists, counselors, school teachers, the Guardian ad litem, and many others. When parties are able to reach an agreement either on their own, or through the process of mediation, we draft agreements to comply with the requirements of court. We are also cognizant that not every case requires a trial, but may often need small changes to accommodate the changing needs of the child. For these cases, we are able to work with a client to update the order as necessary and ensure the desires of the parents are reduced to a written order that is easy to understand. We are extremely proud of the cases in which we have achieved our clients goals involving their children. If you are in need of a child custody attorney please contact our office and schedule an appointment. We look forward to working with you.